Looking to kick your fitness routine up a notch? Get the ball rolling with Yoga Direct's 65 cm Yoga Ball! The yoga ball has a laundry list of alternate aliases: physio ball, swiss ball, Pilates ball, exercise ball, or fitness ball -- they are all the same! Our 65cm ball is the right size for people that are 5'6" to six feet tall. 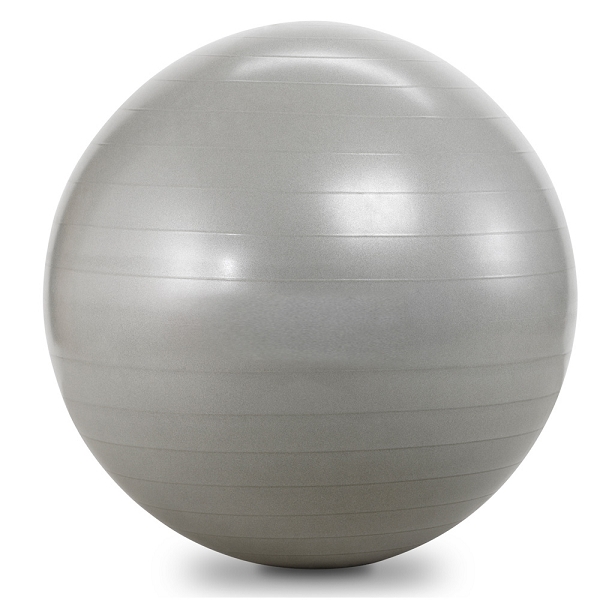 A smaller 55cm yoga ball or a larger 75cm or 85 cm ball is also available. Use yoga balls for Pilates, resistance training, floor work, and stretching to add variety and raise the difficulty of exercise routines. They also double as an office chair! Our 65cm ball comes in 4 colors and are designed for maximum safety with a textured, sticky surface so you won't slip from under the ball even through heavy perspiration. Made from thick and anti-burst vinyl so it is durable and won't pop like a balloon if it's ever punctured. Hand or foot pump necessary to inflate sold separately. This item is priced wholesale. Own a studio or gym? We also sell fitness ball racks as an attractive solution to yoga ball storage. Our Anti-Burst Slow Leak Fitness Balls, are used in Yoga, Pilates, and fusion exercise programs to strengthen and firm abs, back and buttocks. 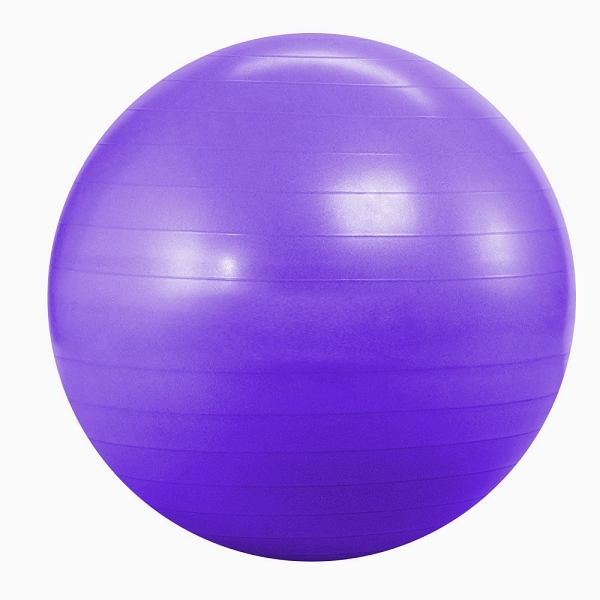 These exercise balls are made from extra durable vinyl, they are designed to support up to 600lbs of pressure. The balls are easily inflated with a hand or foot pump (sold separately), and because they are thicker than regular Gym Balls, they resist tears. If the ball is punctured, the special outer material does not allow the ball to burst, making it a superior choice for any Pilates Fusion class. I ordered 2 balls and so far the one is holding up well. The other was ate up by the neighbors dog. Yeah fed ex left the package outside on the step. Funny UPS always puts it right inside the porch door. now I have to order 2 more and find someone who uses UPS or USPS. Great product - and great customer service and follow-up from this company. Will purchase in the future. Great color, great quality, my whole family loves it! Just wish it came with a hand pump. We use these ball in our program everyday and also give them out to our patients and they love them!! We've never had an issue!! Awesome product! !